♅ URANUS. Higher planets (planets 4 levels) represent those circumstances of external and internal life over which the average person has practically no power. Here his freedom is, mainly, freedom of internal attitude to what is happening to him, for his actions mean little to the development of situations controlled by Uranus, Neptune and Pluto. However, it is this inner relation to the events of the (external and internal) world controlled by the higher planets that often plays a decisive role in the destiny of man, although he himself, due to ignorance, atheism or excessive pride, is inclined to associate his achievements and failures with his right and wrong active actions. Of course, few people have the humility, sufficient to stop the tsunami wave that has risen at his feet, but even the most urgent and energetic measures at this moment will not help. However, a person who has developed in himself one tenth of the humility necessary to stop the tsunami wave will never face it, or at least this situation will be agreed with him in advance. Higher planets exert their influence on human life in and of themselves, and through their aspects with the lower planets, but in this part of the textbook, the primary focus will be on the first type of this influence. The higher planets have a constant background, habitually-inconspicuous effect on the life of the average person, but sometimes they are included quite strongly, and then in its external or internal (and more often that and other) life there are great changes, the nature of which is determined by the position of the planet in the map - sign and home, where it stands, aspects, etc. If these changes turn out to be constructive, a person can greatly expand his consciousness, and then he will serve a large egregor - science, art, philosophy, religion, ethnic or planetary, and the corresponding planet will be constantly active. This is the level of great people, saints, scientists, thinkers, preachers and politicians who broadcast through themselves the mental energy flows that significantly change the world - both subtle and material (although the material sometimes changes a generation or two later). However, the translation of strong mental and especially energy flows of large egregors (usually enough of their crystallized parts) is not the only and often not the most creative way to operate the higher planets. The more subtle (and more difficult) is the person's silent work directly in the greatest egregore, when changes are made there, and not in the material world. In this case, the external life of a person can be quite ordinary, and only an attentive observer will note his unusually strong energy. Subjectively, such direct work in egregore can be experienced in different ways. At a high mental level, a person simply knows where and what he is doing. On the average mental level, for example, a person for a long time and carefully, overcoming the colossal resistance of the material, ponders some idea, concept or design that is very different from the known to the world, but either does not tell anyone, or leaves notes that nobody reads for a long time (years five hundred historians discover decrepit leaflets and are surprised at the prophetic gift of any unknown ancestor to anyone, and he, perhaps, is not a prophet, but the creator of the future, even to some extent). And at the lowest mental (but not spiritual!) Level, a person with active higher planets can simply live, rightly and very accurately, in his very life overcoming a constant resistance, which no one (and maybe himself) can guess. He undoubtedly somehow feels Divine support and presence, although, perhaps, very vaguely, but, of course, does not represent his real role in the evolution process; but he does not need it yet. The principles of the higher planets can hardly be described in the ordinary language, since their expressed manifestations correspond to the altered states of human consciousness. Most often their direct action is short-lived, and the person perceives these moments of life as unusually vivid experiences - positive and negative, sometimes neutral, but always completely extraordinary. At the same time, higher planets move slowly, and it is their constant background interaction that determines the fundamental changes in the fate of man and the depths of his psyche. This background effect is thus very important, and the astrologer needs to be able to see him on the insignificant, superficial and, apparently, insignificant events of the outer and inner life of man, which are in fact indirect signs of the deep-water activity of the planets of the Big Three. Uranus is in the second column of the table of planets; he represents the principle of communication at the highest level. Uranus translates thoughts and mental ideas, to which a person (and, especially, his group, country) is completely unprepared. However, the action of Uranus is not reduced to the transfer of genius or insane (from the point of view of modernity) ideas. Uranic mental premises are so strong that they are accompanied by powerful energy discharges and effects, like lightning - thunder. At the same time, a man often does not realize or does not notice a mental uranium idea, and energy effects are hard to notice, therefore, the action of Uranus is often literally stunning, and what, strictly speaking, the high egregor wants to say remains incomprehensible. Uranus, like Chiron, sometimes opens the dead ends of development, but it does, as a rule, so powerful that first of all all bridges on the way of retreat and one more thing from personal property are burned; and the opening prospects are more brilliant than real, and the situation formed after the inclusion of Uranus is often felt as complete despair and confusion when the past is largely destroyed, and the future is dark, like the equatorial sky in between the stars. Uranium, like other top-level planets, is a change and is characterized by the unexpected, explosive, often revolutionary nature of these changes. In the inner life, this is often a change in attitude, when a person suddenly (as a result, as a rule, violent external events - so it seems to him) break rigid stereotypes of seeing and perceiving large fragments of the world and himself. The crisis of 40 years - the opposition of the transit Uranus to the natal - often gives the person the opportunity to change the world view and, in particular, learn to think differently, much less in a pattern, partially replacing his Mercury with Uranus. Uranus is the supreme Mercury, and the long logical constructions of the second can be replaced by glimpses of insight into the first - to the extent that the regular offensive of infantry can be replaced by airborne assault. It is important only that this landing is not surrounded by a too deep enemy rear, which for a person can mean a mental illness. From a uranium explosion there are always shock waves, and if the high vibration of the thought that caused the explosion can remain incomprehensible or unnoticed, then the impacts of the propagating waves are real and undoubtedly palpable. Therefore, Uranus, in general, is dangerous, and his position in the house (even quite harmonious) means the defeat of this house. The harmonious position of Uranus is more dangerous for others, not quite harmonious - also for the person himself. Uranium is dangerous because its explosion is absolutely unpredictable, and at the same time can crush such walls, which all life of the person were (and seemed) unshakable. In particular, Uranus, as a 4th level planet, managing subconscious programs deeper than those broadcast by the public subconscious can make a person, to his full horror, go frankly against the society, and then the harmonious Venus and Jupiter will not save him, together taken. Uranus as the highest planet represents rock, which is as much stronger than man as the latter in its mass is inferior to the planet on which it lives. All people with active higher planets feel the effect of their fate on themselves; a greater determinism of fate and subordination of one's will to an unknown, but absolutely irresistible force that forces them to serve themselves; But the active Uranus forces a person to feel his rock, perhaps most vividly; because external circumstances and internal forces seize and drag it so irresistibly and in such an unimaginable direction that the concepts of karma and maya (the illusory reality of the external world) become natural, understandable, and sometimes (with the study of Uranus) and the only possible ones. The study of Uranus goes along two lines, each of which requires a sufficiently high level of self-consciousness and a certain evolutionary consciousness. The first line refers to the person's attitude to the constant but background effect of Uranus, manifested in the shades of what is happening, and quite insignificant (at first glance) circumstances and insignificant events, but which, nevertheless, constantly happen, form the very fabric of life, a person develops and evolves. Man is to a large extent power over small details and circumstances of his life, moreover, he makes dozens of small elections every day, each of which is not without the influence of higher planets, and it is these petty elections and internal attitude to the details of life that ultimately determines his fate . The second line of elaboration of Uranus relates to a person's attitude to uncontrolled explosions inside and outside him and his behavior in acute, unpredictable and completely unexpected situations for him. Coolness, restraint of the senses, the ability to wonder and perceive the extraordinary, without reducing it to familiar schemes, can serve a good service to a person caught in typically uranium circumstances. But nevertheless this line of elaboration of Uranus, at least at its lower levels, is less important than the first. God does not and does not rely on such superficial and unstable characteristics of man as mind or skill; He is much more important than humility, patience and impartial attention, and sharp situations, as a rule, are precisely designed and rigidly managed, and the role of human consciousness in them is practically unimportant. At the first level of development of Uranus in relation to manifestations of this planet are observed: complete indifference and neglect of its insignificant manifestations and absolute fatalism (religious or atheistic) in relation to pronounced uranium manifestations. Minor thoughts and events of uranium are encountered in life every day or almost every day; these are completely unexpected and completely unusual situations, comments of others or their own, somehow wandering thoughts, which the person is inclined to dismiss and ignore, believing that this is utter nonsense, bursts of primordial chaos or delirium, unworthy of serious man's attention, such as the idea of ​​frying large fresh cucumbers, as zucchini, on sunflower oil or the organization of a society for the reeducation of amateur pigeoners in rabbits with the aim of solving the food problem in developing countries. In pronounced uranium situations, a person at the first level of elaboration of Uranus is completely lost, his complex social subconscious programs are turned off and primitive, sometimes even animal, actions begin to act. Characteristic panic, horror, animal selfishness and sharp narrowing of consciousness, or complete disabling of perception, apathy and absolute indifference to what is happening. But in any case, the idea of ​​both the possibility of conscious inclusion in the situation, and the thought of its meaningfulness and significance for the future destiny of man, is completely absent. I want to live and forget it as soon as possible, so that I can never remember again. At the second level of Uranus' study, a person accepts, even if in a primitive form of superstition, the possibility of transmitting to him information in the form of mini-revelations of fate. Most often this is a belief in signs, socially approved (black cat - unfortunately, chimney sweep - luck) or personally their own, acquired by life experience (happy and unhappy numbers, etc.). Indeed, karma constantly sends to any person signs and symbols by means of which the latter can prepare in advance for future events and even to some extent (determined by its common evolutionary level) to foresee them. The signs sent by Uranus have a specific shade of non-standard, unusual, they are informative and vivid (the signs of Neptune - often various vague emotional states) as symbols of something, and that, it is difficult to understand at once. Sometimes, at this level, the interpretation of the sign comes quite accurately, and the person receives extra proof in favor of his "superstition" and begins to suspect the higher meaningfulness of his destiny, but more often his interpretations are erroneous or very approximate, which gives him grounds to regard coincidences as accidental, although something inside him says it is not. At this level, the uranium mental revelations are still completely incomprehensible and are still viewed as insane, but can already cause abstract interest, sometimes amusing the host and his environment; a person is said to have a fantasy (there is still something missing for the creative imagination). In pronounced uranium situations, such a person is already lost a little less, although he still does not see anything constructive in them, but still, with horror, can be frozen with delight at the sight of a special beautiful energy shaft with a lush foamy crest. At the third level of elaboration of Uranus qualitative changes occur: a person learns to constructively use his premises. First of all, from time to time he receives unexpected revelations on the topic he has asked himself, brilliant guesses, non-standard solutions, etc. He does not yet possess the method of "brilliant insight" completely, i.e. sometimes it does not come at once, and sometimes does not come at all, but in any case it is clearly possible to hope for it, especially with careful preparatory work (and sometimes at the beginning of the solution). True, many uranium ideas still remain fruitless, but man treats them completely differently, with respect and inner gratitude: he has already felt the taste of mental creativity at a high level. At this level, the uranium signs of karma become much clearer (that is, a person for various unusual or striking circumstances and events hears a clear commentary of the inner voice that says exactly what they mean), and it is already difficult to ignore his own prophetic abilities, although errors still remain. However, careful observation shows that they are mainly related to their forcing and personal interest. Strong uranium manifestations, turning the life and picture of the world upside down, are perceived by a person now much more calmly (of course, much depends on the aspects of Uranus and the map as a whole). But, in any case, a person accustomed to appreciate small uranium manifestations will try to see the meaning in large, and with due internal honesty and humility may be able to accept the destruction of most of the old reality (external and internal) and start building a new one in the direction , far flashed by a flash of uranium lightning, and the energy thunder will scare him no longer so much. At the fourth level of Uranus' study, a person learns to systematically read information from such a high mental plane that virtually all of his significant thoughts can be viewed as revelations, and he rarely makes mistakes, although he often does not use mercurial deductive logic at all. At this level, the solution to the problem and the difficult synthesis are going so accurately and clearly that the surrounding people are breathtaking: what is happening seems beyond the bounds of the possible. A precisely expressed and adequate situation, the uranium truth can change it perfectly; while the energy of thought is such that it can penetrate the most solid defensive structures of the lower Virgo and Mercury. At this level, a person sees the future well enough and can influence him with the power of his thought (within the framework of karma, which for him, however, is obvious). Persistent uranium signs are important to him not so much as pointers of the future, but rather as a means of fine-tuning his external behavior: they indicate to him the true meaning (ie the meaning for the egregor) of the corresponding processes and phenomena in the material world. At this level, it is often much easier for a man to understand the truth himself, rather than explain it to the suffering; for this, sometimes it is necessary to create a special language, but sometimes it is necessary to artificially create a strong uranium situation, that at this level of working out the planet a person is sometimes available; However, it can not accurately predict its development and effect (and no one). Uranus symbolizes the sign of fate, surprise or discovery. Uranus governs Aquarius, culminates in Scorpio. From Aquarius, Uranus gets a cold mental detachment, the objectivity of its ideas (which, however, does not prevent them from being accompanied by strong energy discharges), and from Scorpio - the power of transforming influence, which is constructive, however, only with substantial elaboration. The situation of Uranus of the lowest octave in a pronounced version is a people's revolution, when waves of chaos and violence turn a person into a cardboard toy of fate, rushing along the raging and overcoming valleys of the threshold of the river of karma towards the waterfall of physical death. Ideas can be beautiful, but reality is not ready for their harmonious perception, and the broadcast energy is huge and does not fit into channels designed for much more modest streams. Other examples from outer life are thunderstorm, earthquake, volcanic eruption, tornadoes, samums, etc. Relevant thought forms, the translation of which is accompanied by similar natural phenomena, are poorly recorded by mankind; although the idea of ​​"the wrath of the Lord" has not died, and now, the specific content of uranium thought that caused this natural disaster has not yet become the subject of serious discussion neither theologians, nor mystics, nor occultists. More modest strong uranium situations are, for example, a sudden major reduction in the staff at the firm, sharp jumps on the exchange, gold rush; in the inner life it can be a sudden awakening of passion or, conversely, a mortal anguish that causes a person to destroy all of his former life and try (most often unsuccessfully) to find a new destiny, new egregores and energy flows. Background uranium situations are something unexpected and obviously pretending to be a symbol, that is, a small event with a hidden meaning, but, unlike a chironical situation, this hidden meaning is connected with the essence of what is happening purely mystically or symbolically. Uranic situations of a higher level are associated with the translation of an unexpected idea, a solution to a complex problem, or a difficult synthesis. They are accompanied by the allocation of high energy, which is expressed in the strongest enthusiasm of participants and strengthening their faith in the power of the mind - human or Divine, depending on the level of religious culture. 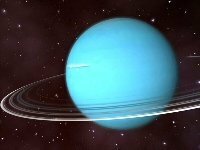 The man of Uranus has extraordinary energy and is constantly overwhelmed by various ideas and projects, one is more fantastic than the other. At a low level, all this looks like it wants to be shown in a mobile provincial circus - true, no more than one performance in each locality. It is difficult to carry, because it has a small grip on reality - but it has the gift of a strong perturbing effect on it. This is certainly a black teacher, and it is almost impossible to beat it, since Uranus is a planet of the 4th level and not tame it in ordinary human and even social forces. On the other hand, this person is a source of not only a fantastic and energetic chaos - he also in abundance delivers the signs of fate to all his acquaintances and relatives (for the relatives he is just the embodiment of the evil fate of the family). It can be successfully predicted by guesses as on cards or coffee grounds, on the coloring and cover of his clothes, manners of speech and, most importantly, current ideas. It can neither be stopped nor used for peaceful purposes, it is the embodiment of unreliability, unessentialness, unpredictability, even with elaborate Saturn, who is able to smooth out short sections of his life, but not stop throwing altogether. 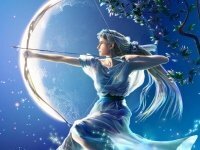 At a higher level, the very action of Uranus goes in a more constructive way, i.e. thoughts, enthusiasm and energy of the person have some shade of common sense, and with their careful study it is possible to partially extinguish strong energy waves that constantly shake the life of a person. In general, the dominance in the map of the planets of the 4th level, as a rule, means the defeat of the map: fate gives the person too intense rhythm, so in itself, his relatively long stay outside the walls of the psychiatric hospital should be seen as a feat of self-control and self-denial, and a hint of participation in the national or even planetary karma. Weak Uranus does not mean the absence of uranium ideas and situations in human life. 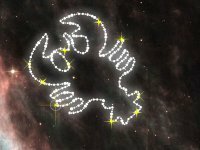 In the house where Uranus stands, they will necessarily, but not as often as under the heavily aspected Uranus, which affects all the houses that aspect. Weak Uranus makes it possible to experience many pronounced uranium situations by simply covering your head with your hands, closing your eyes and not moving, waiting for them to pass and the sun of everyday life and emotions will shine again. Indeed, there are chances that the development of weak Uranus can be left to the next incarnations. However, in doing so, a person may lose many opportunities for learning direct contact with the higher layers of the mental plane. Yet in his life there will be both signs of fate, original ideas absurd, and a bright instant light of unexpected discoveries, but, if this is not done specifically, in a small amount. Here, fate gives a chance, but does not force, but the risk is minimal (how much can we talk about security in relation to Uranus); True, there can be little enthusiasm for characteristic uranium ugliness, insane experiments and fantastic ideas. Nevertheless, one must understand that the study of the higher planets by man is usually karmically predetermined, but it is impossible to determine whether it will occur on the birth chart. Harmonious Uranium gives a strong protective effect only when it is worked through; then a person in a difficult situation will always receive an unexpected saving thought or just direct help. 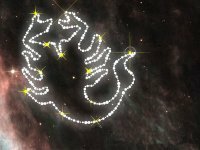 Harmonious Uranus is dangerous for the enemies of man, since a variety of misfortunes can fall upon their heads, and many tricks of destiny will await them, which will prevent them in every possible way from carrying out their actions that are hostile to man. 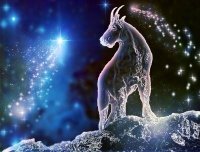 Nevertheless, without working out harmonious Uranus can cause a lot of trouble to a person who quickly gets used to the fact that his numerous uranium ideas and antics tend to get away with him and therefore, believing in their luck, loses all caution. In fact, harmonious Uranus provides a person with great opportunities for development: his signs are read easily, and the wonderful ideas are as close to implementation as possible for the uranium ideas that always come from the day after tomorrow. Here, working out means a long way from pride and amazement to one's own ingenuity and spontaneously manifested forces to a true and humble service to a high egregor sending great, but not completely understandable and formalized thoughts that need to be understood and reacted to by themselves, so that they become available to humanity. Affected Uranus can mean heavy rock: from time to time a person realizes the complete collapse of his outer life, or at least the whole picture of his ideas about the world. At the same time, the higher planets of average people may not be included in a pronounced form at all, and the background manifestations of the affected Uranus are tragic: they are small sudden disappointments, minor project failures, thunderstorms, etc., which can be very successfully learned live, comparing the numerous signs and subsequent events. We need only remember that for Uranus, the outer and inner life of man is one whole, and his signs refer to this general synthetic reality. This, in particular, means that the uranium sign is, as a rule, an external event, underlined by a non-standard internal reaction to it, as if it is italicized. Signs of the afflicted Uranus are difficult to solve, it requires great impartiality, inner honesty and unselfishness, but it gives wisdom and understanding of the current life, the ability to navigate brilliantly in the most difficult situations, if we avoid (at times strong) the temptations of atheism, fatalism and agnosticism. Inclusion of the afflicted Uranus without its preliminary elaboration in weak manifestations can mean a catastrophe for a person, or the appearance in his face of a strong black teacher who will at times skillfully and energetically confuse the souls that are not very steadily standing on the path of spiritual development.